On this Day in Duluth in 1990, Louis Montanaro shot Duluth police officers Sergeant John Hartley and Sergeant Gary Wilson at the Seaway Hotel in Duluth’s West End. The officers were led to the Seaway on a tip while looking for Montanaro (at first misidentified in the press as Louis Montoya), who was a native of Pennsylvania and in Duluth to find work. Earlier that evening he had stopped in the Midway Bar, were fellow patron Mark Chumich apparently upset him. Montanaro followed Chumich out of the bar and shot him in the side. Six officers—including Hartley, Wilson, and future chief Roger Waller—approached Montanaro’s room and announced their presence. 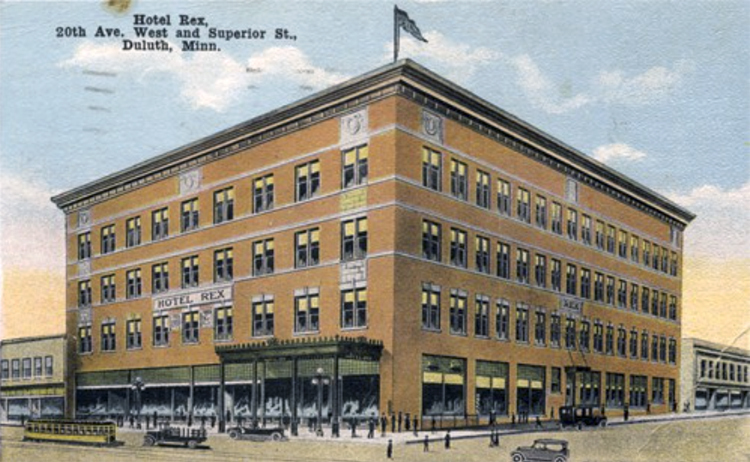 Montanaro answered with three volleys of bullets—fifteen in all—shot through the hotel walls, striking Hartley and Wilson; one slug hit Wilson in the head. The other officers burst through the door and shot Montoya, wounding him. Hartley survived. Wilson died the next day, leaving behind a wife and five-year-old son. His fellow officers had much praise for him. Michael Maki said of Wilson that “Gary was always prepared—I’m talking psychologically. He was confident. If you were doing bad stuff, you didn’t want him coming after you.” Sergeant Richard Yagoda called him “an exceptional officer.” Montanaro was convicted of first-degree murder and attempted murder and was sentenced to life in prison. He died at the Minnesota Correctional Facility at Oak Park Heights on December 2, 2011.